“Sometimes life gives you grenades disguised as lemons.” Former guest Charles recently wrote these words to Joe Hamby, Men’s Shelter of Charlotte’s Director of Income Services. Charles was describing his “lemons” that began several years ago with relocation from Hurricane Katrina and more recently with job reduction and family strife. All of which exploded, leaving him with a yellow paper on his apartment door, evicted just 11 days before his 25th birthday. Devastated, Charles spent a few nights riding the light rail and catching sleep in the ER waiting room, before he found his way to Men’s Shelter of Charlotte. “I was struggling; but I wasn’t dead yet,” Charles goes on to write. So, he persisted, and took advantage of the additional services Men’s Shelter of Charlotte offers. 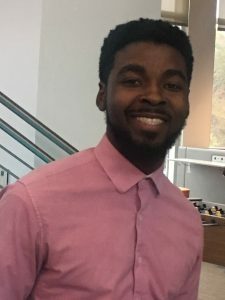 Through our employment team, he was connected to a local employer who offers innovative paid internships for motivated young adults. In fact, Joe gave him a ride to his interview, which included a pep talk before he went in. “Tell your story,” he advised Charles. Charles successfully landed the internship. 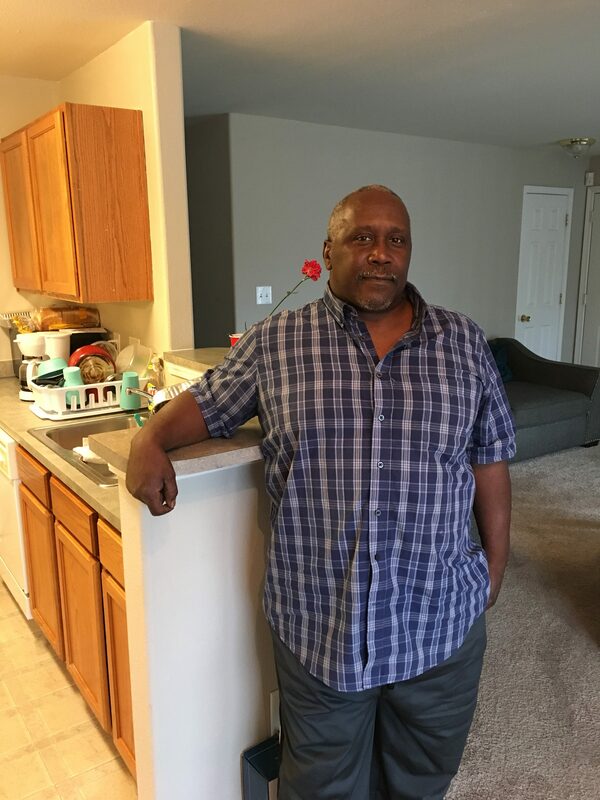 Additionally, through our housing program, Charles overcame his financial barriers, had an advocate to help navigate housing options, and gained access to a rental subsidy. Less than five months after his eviction, Charles’ experience with homelessness was ended. For Cedric*, experiencing homelessness was a way of life. Twenty plus years of life, in fact. In and out of Men’s Shelter of Charlotte, our team patiently worked to cultivate and grow a trusted relationship with Cedric. Struggling with severe mental illness, Cedric needed significant support. That support started with us and ultimately found him a home with Moore Place, permanent supportive housing created by Urban Ministry Center. The notion of “it takes a village” certainly held true for helping Cedric. His two decades of homelessness took him to two states, several shelters, and eventually, the streets. The “village of help” took some unconventional turns including candy, cigarettes, bagged lunches, microwavable ravioli and finally – relationships. In the end, it was these relationships that helped Cedric become housed. 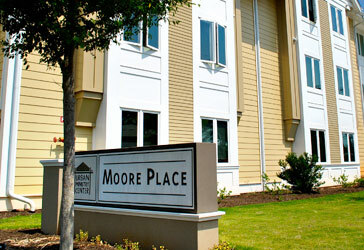 Urban Ministry Center’s Moore Place exists for the “Cedrics” of the world, those struggling with significant disabling conditions who can succeed with independent living while surrounded by a community of support. 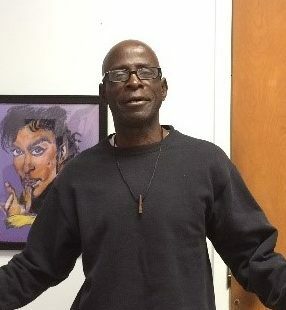 Cedric began developing relationships at Men’s Shelter of Charlotte where we provided supportive staff, basic needs, and kept him off the streets. The simple tasks of obtaining his photo ID and social security card, both of which are necessary for housing, seemed monumental tasks with Cedric’s struggles. 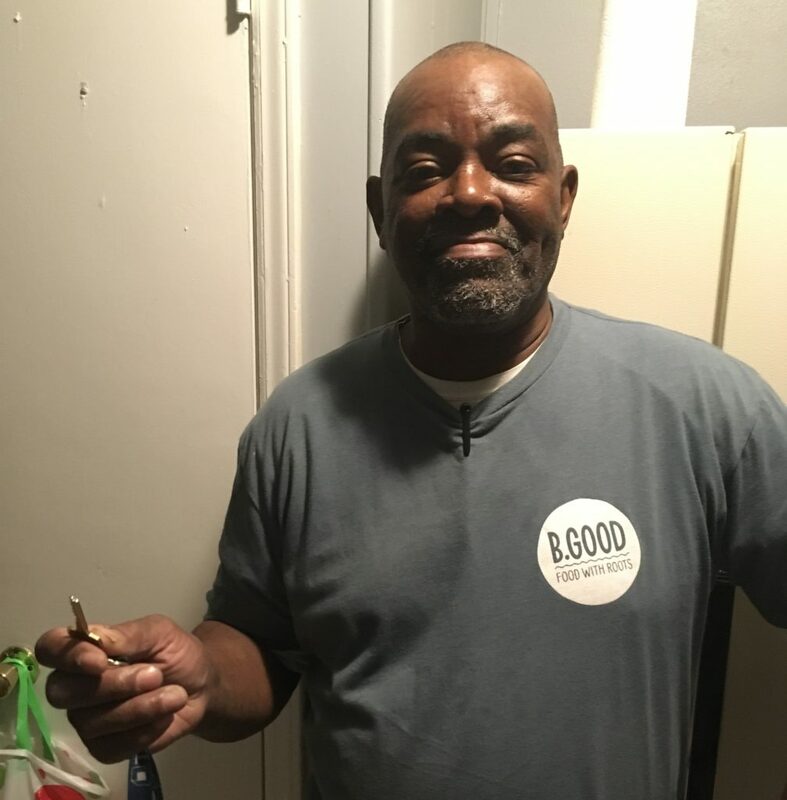 Our staff’s persistence, patience, and investments in candy and ravioli paid off – twenty years of homelessness were ended when Cedric signed his lease last month. Men’s Shelter of Charlotte – providing safe emergency shelter while working to end homelessness for each man! (*) Note, Cedric is not this guest’s real name. Name is protected to maintain confidentiality. After his mother lost her battle with cancer, Herman decided that staying in Durham was too painful and needed a fresh start. He moved to Charlotte and gained employment quickly. But after his housing plan didn’t work out and with nowhere to go, he turned to Men’s Shelter of Charlotte for help. While Herman’s basic needs were met, he also took advantage of the employment services at the shelter. He frequently visited our Housing and Employment Resource Center. There, Herman found skilled volunteers and our Employment VISTA (Volunteers In Service To America) worker, Dawn, who helped improve his basic computer skills, build a resume, set up an email account, navigate online job applications, and much more. Herman was also provided transportation to Goodwill’s Opportunity Campus (one of our key partnering organizations) to take advantage of workshops, budgeting classes and other vital employment resources. Though Herman was employed, he found that with his newly acquired skills and certifications, many more opportunities became available. As a result, Herman landed a higher paying job as a cook with one of our employment partners, B.Good. Even better is that Herman is now with an employer where he can pursue a career in the culinary industry. With new found stability, Herman moved into an apartment in early January with a roommate, also a former guest of Men’s Shelter of Charlotte. Today, Herman continues “finding a new way to live” and is on the right track. “Enough is enough,” has been Peter’s motto as he transformed his life through the shelter. Peter came to Charlotte for a fresh start after serving time in the criminal justice system in New York. He turned to Men’s Shelter of Charlotte when staying with his sister and niece was no longer feasible. Peter’s housing and employment barriers were high but he was determined to “take advantage of all the shelter services.” First, Peter accessed a nurse on-site and was referred to a doctor who could perform a necessary back surgery needed to repair a decades-long injury. After recovering, things started looking up. He started working at a local bakery and coffee shop after seeing a job posting on our Job Opportunities Board and met with a Housing Specialist to help him navigate housing options.